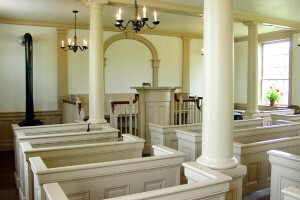 Seventies Hall with the Nauvoo Temple in the background. Photo by Kenneth Mays. 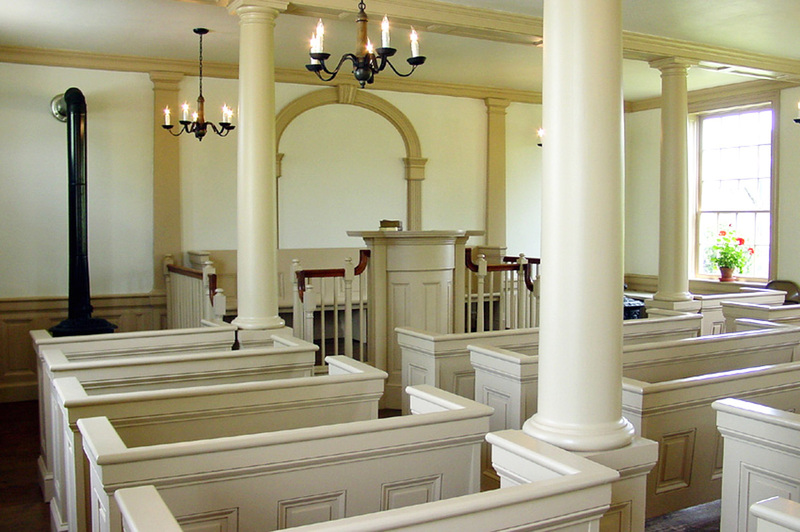 The Seventies Hall in Nauvoo was created as a meeting place for the Seventies, a quorum organization in The Church of Jesus Christ of Latter-day Saints that focuses on missionary work. 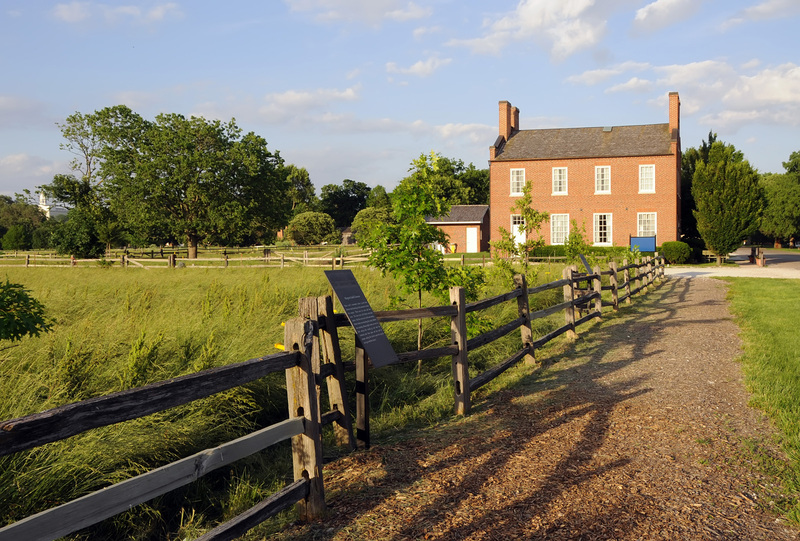 It was built in 1844 on land donated by Edward Hunter, a member of the LDS faith in Nauvoo. After the Saints left Nauvoo to travel west, the Seventies Hall became the meeting place for another denomination before the second floor was removed and the structure used as a schoolhouse. Sometime before 1897, the building was leveled. 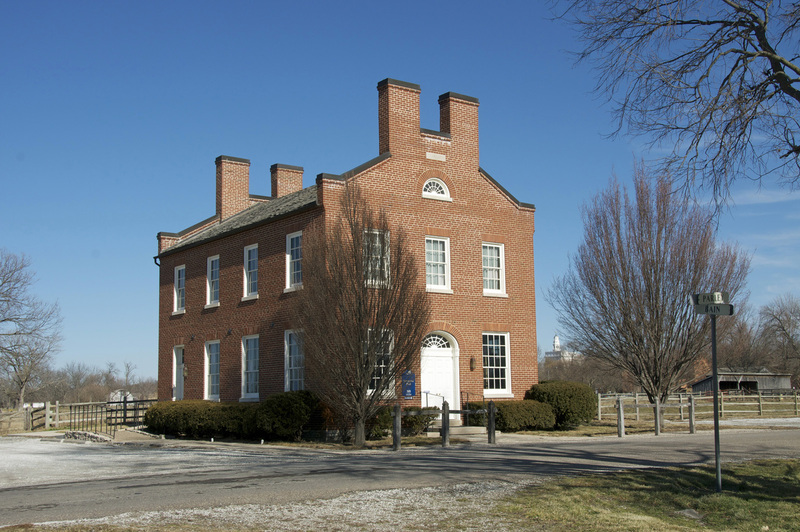 In the 1960s, the site was bought by Nauvoo Restoration, Inc., and in 1971-72, a replica of the original building was erected on the original foundation. 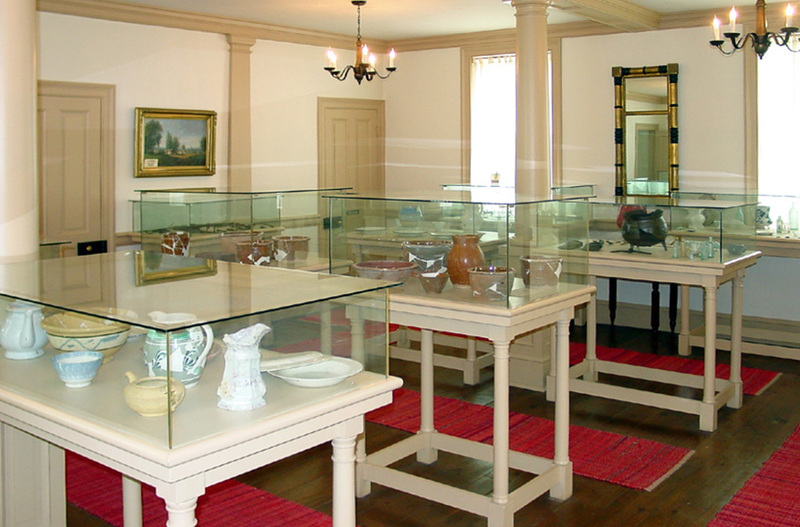 Today, a museum of Nauvoo artifacts resides on the second floor, and the main floor has been restored to as it appeared in the 1840s. 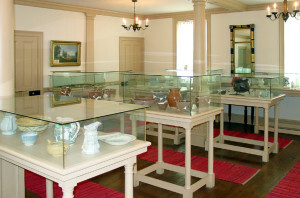 Seventies Hall, interior view. Photo by Kenneth Mays. 1 Arnold K. Garr, Donald Q. Cannon, Richard O. Cowan, eds., Encyclopedia of Latter-day Saint History, (Deseret Book Company: Salt Lake City, Utah, 2000), 1091. 2 Stanley B. Kimball, “Heber C. Kimball and Family, the Nauvoo Years,” BYU Studies, Vol. 15, Number 4, Summer 1975, 471. Source(s): Richard Neitzel Holzapfel and T. Jeffrey Cottle, Old Mormon Nauvoo and Southeastern Iowa, (Santa Ana, California: Fieldbrook Publishing, 1991), 131-32. Source(s): Dean C. Jessee, “The John Taylor Nauvoo Journal: January 1845-September 1845” (1983), BYU Studies, Vol. 23, Summer 1983, 7-9.